In the state of New Hampshire in the United States of America, there have been recent issues with contaminated wells and drought. Many New Hampshire innovators are trying to solve water issues not just locally but globally. The attention focused on these issues and efforts has inspired our science center to foster a greater understanding of water and its management. 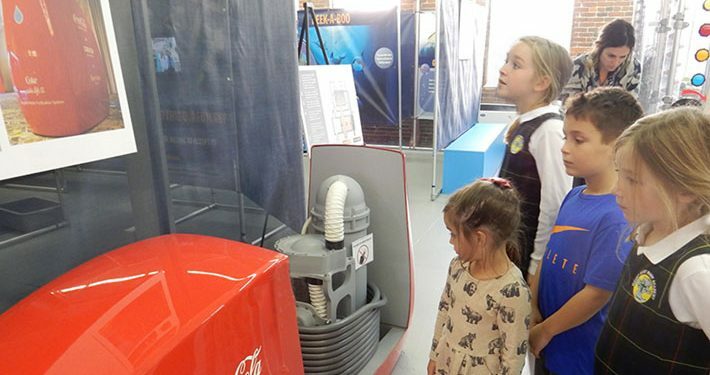 To achieve greater community awareness of the importance of clean water, the SEE Science Center has brought the traveling exhibition Water’s Extreme Journey to our facility in Manchester, New Hampshire, in partnership with RBC Wealth Management and Eversource, from September 16, 2017 through January 15, 2018. This interactive Minotaur Maze encourages visitors to take a role in preserving and protecting our water resources. Visitors journey through the watershed and the water cycle as a drop of water while discovering how to stay clean and healthy along the way. To showcase local efforts that are helping to solve worldwide water issues, a model of the Slinghot is on display at SEE in conjunction with the maze exhibition. The Slinghot is a water purification system designed to clean non-potable water in the developing world using only a small amount of energy. This system was invented and developed in Manchester by inventor and SEE Founder Dean Kamen and DEKA Research & Development engineers. This invention was featured in the documentary film by the same name. 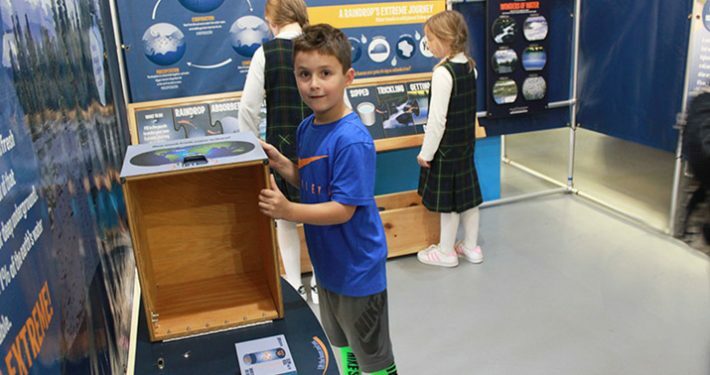 Water’s Extreme Journey is included with regular admission to the SEE Science Center, a 30,000-square-foot (2,800-square-meter), interactive science learning center featuring hands-on exhibits and field trip programs.